Women’s Philanthropy | United Jewish Federation of Greater Stamford, New Canaan and Darien, Inc.
Who We Are: UJF Women's Philanthropy brings together women from across Stamford, New Canaan and Darien to maximize their collective power and make a profound impact on the future of our community. Introduced in 1972 for the Miami Women’s Division campaign, the Lion of Judah pin has firmly established itself as a symbol of commitment to the worldwide Jewish community. The diamond insert 14-karat gold pin was created for the woman making a personal pledge to the annual campaign of $5,000 or more. When the program started, there were 16 women who qualified; by the end of the 1970’s, there were more than 400 women in Miami who proudly wore their Lion of Judah pins. In 1980, guidelines developed by leaders of the Miami and UJA National Women’s Campaigns enabled other communities to participate in the program by adding their individual logo designs to the copyrighted pin. This is the only variance permitted excerpt for Or L’Atid-symbol of the Lion of Judah Endowment. In 1983, a national logo was created for the pin. Communities have a choice of contracting with Miami for their local versions, or of ordering the National version. Regional and National Lion of Judah events have helped the program, which also has been adapted by Keren Hayesod. In 1985, a Lion of Judah pin with a RUBY inset was established in recognition of an individual woman’s personal commitment of $10,000 or more to the annual campaign. As the decade of the 1980’s ended, the program was extended to recognize even higher levels of women’s giving. A SAPPHIRE inset acknowledges contributors of a minimum $18,000, and an EMERALD inset those women who contribute $25,000 or more. In 1992, to mark the 20th anniversary of the pin, a new $50,000 level was established with a CANARY DIAMOND in set; the stone and the category it represents are known as the ZAHAV (golden) DIAMOND. Women’s Campaigns have assumed an increasingly significant role in raising funds for the UJA Federation Campaign. More than 7,000 women from communities throughout the United States, and through Keren Hayesod, proudly participate in the Lion of Judah program. A Pomegranate is a woman who makes a personal commitment to the annual campaign of $1800 or more. Introduced in 1981 in Allentown, Pennsylvania, the beautiful and original sterling silver pin in the shape of a pomegranate was created for the Women’s Division. Each year, as additional minimum contributions are made, a ruby representing the red seed of the fruit is added to the pin. The pomegranate is a fitting symbol. One of the seven fruits named in the Bible, the pomegranate is said to contain 613 seeds, one for each of the 613 mitzvot noted in the Torah. The pomegranate is a symbol of Jewish life and commitment. This symbol reminds us of the lives already rescued and renewed by the commitments we have made. But, even more, it reminds us of the work yet to be done – of the millions of Jews here and throughout the world who need our help to live in dignity and peace. Late in 1993, UJA National Women’s Campaign and Miami Women’s Division created Or L’Atid (Light Unto the Future). 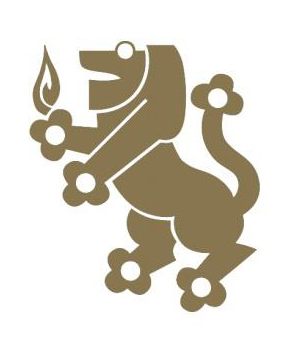 Symbolized by a flame emanating from the Lion of Judah pin, it represents the establishment of a permanent fund guaranteeing that a woman’s financial commitment of $5,000 or more to the UJA Federation Annual Campaign will be made every year in perpetuity. LOJE provides an opportunity to fulfill long term and future commitments to Jewish survival and the quality of Jewish life. Or L’Atid on the Lion of Judah pin is a symbol of the eternal responsiveness of Jewish women.